As a busy Mom I pretty much live in pajamas or sweats! Which is why I am so glad I discovered Hello Mello. Hello Mello makes the cutest mix and match Lounge Wear that every Mom needs. The fabric is butter soft, and the packaging is picture perfect! Not to mention they are super affordable. The items come packaged in a cute reusable tote and are so cleverly labeled. The totes are equally soft and give you a small taste of the comfort you are in store for! I couldn’t wait to slip them on, and as soon as I did I wanted to live in them! Thankfully coming from a Mom who works from home, I never have to! The adorable patterns come in both pants and shorts. No matter what kind of gal you are, there is an option for you. Not to mention the equally comfortable lounge tops! These are perfect for lounging as well as running all our your busy Mom errands in! If you are looking for a gift for a new Mom these sleep masks make for a perfect addition to the lounge wear. I can’t imagine a more functional item for a Mom with an infant at home, sleeping at odd hours of the day. Whether you’re a stay at home mom, a mom who works from home or a mom who can’t wait to come home and slip into the most comfortable pajamas at the end of a long work day, you will adore Hello Mello Lounge Wear. Check out their website or find them on Instagram and Facebook. Happy Weekend friends! I can’t believe January is almost over! This month has gone by so quickly, that I haven’t had much time to share about what we have been up to! Here’s a little peek on what we’ve been up to. Hallie had a book fair at her school and we on a whim picked up this book called Dear Girl. Seriously every girl Mom, put this in your Amazon cart IMMEDIATELY! It is all about teaching your girls to love themselves the way they are. It’s empowering and helps girls grow into brave, important and powerful women. Hallie loves it and I love the message! I have plans to start The Marvelous Mrs Maisel tonight! Is it worth it? I love Amy Sherman Palladino! DFW friends! There are 2 places you NEED to go ASAP! Wow Donuts and Drips and Chelles Macaroons! They are both amazingly delicious spots for my sweet tooth pals! For me this year is all about growth. I want to grow this space and my instagram and facebook pages to be a place where Moms like me can unite and lift each other up! To share dreams and goals and tips on motherhood. I would love any tips from those Mommas that have created their unique corner of the interwebs. Drop your tips and ideas in the comments! Everything this year will bring! The growth of my brand as well as our business. Watching Hallie grow and learn new things! 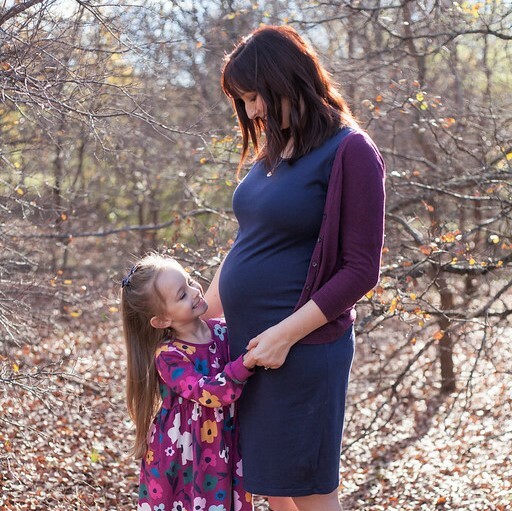 Watching our family grow (no baby yet, but we definitely want to give Hallie a sibling) and change. My Dad’s Wedding is in March and I love that we are joining our two families! It’s going to be great year! Hallie is into everything Unicorn right now. She definitely needs this shirt. Ps can we talk about how good Cat and Jack is? “Love is in the air, everywhere you look around!” Don’t mind my jam session, I am just so excited that Valentines Day is around the corner. All the pink, red and hearts in Hallie’s wardrobe have me swooning! Today I am sharing some of the adorable pieces I am adding to Hallie’s wardrobe so that we can celebrate LOVE all month long! The June and January pieces are so versatile! We have the swing dresses and knit tights in so many amazing colors so we can mix and match for every occasion. If you are a new customer click here to get 20% off of your first purchase! Also don’t miss the exclusive Valentine pieces they are dropping tomorrow! The Turbans for Tots bows are so well made and come in the most precious prints! And who doesn’t love sparkly shoes? The little kitty dress is Hallie’s favorite and she insists on wearing it once a week! You are in luck because it is on sale for $10 RIGHT NOW! What are your favorite Valentine pieces? Let me know what else I need to add to my cart! You know you all have a ton of hand print crafts and Popsicle stick creations stacked up and collecting dust. You have great intentions to get organized and save the precious prints and finger paintings. However time can be an issue and so they remain collecting dust. Memory Joy has solved that problem for me! Memory Joy has a wide selection of well made memory boxes adorned with your child’s photo, name and age. Inside is plenty of room for precious mementos and keepsakes. I am able to now save all of Hallie’s school artwork, karate certificates, and ballet photos while keeping things organized by age. Before Memory Joy, I had Hallie’s artwork collecting dust on the desk and refrigerator. They were becoming more crinkled by the day! I knew one day I would eventually pack them up in a storage tote, and put it away in a closet. However, this seemed time consuming and I wouldn’t be able to easily look at her adorable creations . With Memory Joy, all of Hal’s 3 year old mementos are tucked away, yet easily accessible. I love that they are organized and safe, and Hallie loves that she can take them off the shelf and look at them whenever she wants! The amazing folks at Memory Joy want to gift one of my readers a Memory Box of their very own! How cool is that? To enter Follow the rafflecopter steps below, and be sure you are following them on Facebook and Instagram. The giveaway is open to US residents only and will run until January 18th 2018. Winner will be notified by January 19th 2018. January is all about new beginnings. For me, it’s about setting and achieving goals, that is when I am not hunkered down in my Pjs. Today I am sharing some of my favorite products for work, for play and for hunkering down in said PJs. For Work: Erin Condren makes the BEST customizable planners! I prefer the vertical layout because there is plenty of room to keep track of everyone in the family. And the dual tip markers are perfection! For Play: Obsessed with these open front cardis! I have them in a few colors! Bonus, select colors are on sale now. This lipstick color is love for this time of year! For Rest: I can’t get enough of these super comfy pajama pants! It’s the kind of love where you are incredibly bummed on laundry day to have to take them off to wash. Know what I mean? Also if you don’t have an Ugg Blanket, you are missing out! They are the softest warmest throws to wrap up in on a cold January day. I feel like this is going to be a BIG year for the Mock family! Now that we are a week (and then some) into January, It’s time to jot down some goals for the year. Get organized- I am hoping that by the end of the year we will be in a new house, so I want to make that move an easy one on us. I am planning on boxing up baby clothes and keepsakes and keeping things as simple and clutter free as possible. Stay tuned because I have a review on a product coming soon that is sure to help with this! Live Healthier- I need to be more active this year! I also plan to eat a little healthier too! I want to make sure I add more fruits and veggies into my diet. Coming from someone who doesn’t like fruit unless it’s baked into a pie, this is going to be a tricky one for me. Grow our businesses- Most of you know that my husband Christopher is opening a new store here in the Dallas area. Between that and the blog I am hoping that if we put in some hard work, by the end of the year we will definitely see immense growth. Spend more quality family time- Our little family of three could definitely benefit from more quality time. Especially before we think about growing our family. What are some ways you spend quality time as a family? We would love some ideas!